Very strange! EOL for a device that young. 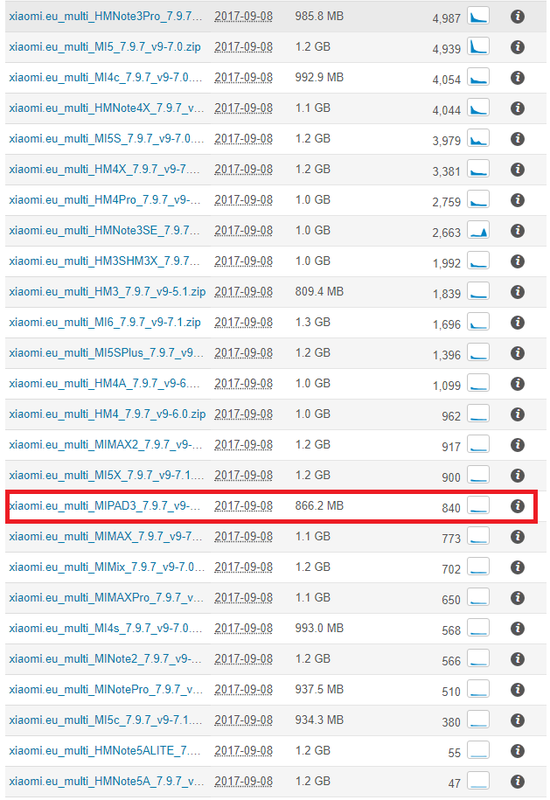 The last version of Mi Pad 3 firmware is 7.9.14 (china version), the up-to-date version !!! In official sites/forum miui. miui.com and en.miui.com subforum download. Have chinese and engliah language only and apps from china roms. Not have included gapps too. Im in a 400 member Telegram Group ....do you know how many had unlocked the BootLoader ?? NOBODY !!!! Because the bootloader come unlocked from Factory !! Without saying why, there is just no guessing why. I've asked in that thread and i hope i will receive a response. What is the languages included into the China Dev Rom ? All apps without 2-3 we can unistall. I use china dev roms on phone and mi pad 2 more than 2 years and work good. A think thats good move and i think next good move will be EOL VIRGO(MI NOTE), because 2 years with rotate bug in apps will be no fix, because china not use gapps. Bug with bt etc. Many people complains about the slow operation and reloading of applications and desktop on MI4C and looking for alternatives among customs base pure android example RR. Wasting space and memory isn't the biggest issue. The biggest issue is no use of Google apps. I understand from the perspective of new functionality. However, there is the other issue of security updates. Is there a way to implement security fixes at least? @ingbrzy, is there anything you need to keep the support up for Mi Pad 3? Its not true, we can install gapps and work fine. We can uninstall chinese app or off. Such bad news for Mi Pad 3, at least monthly updates there are a lot of owners of this tablet and would be nice from time to time to get some updates. Especially now when we need a good miui 9 rom. One the good things of xiaomi devices is the endless software support. I know .eu is not xiaomi itself and a project run by volunteers, but it would be great if we can at least count on irregular updates. I understand all of the reasoning above. It would however be nice if a subset of devices would be at least supported through stable builds. Fewer releases, but at least supported. I don't need bleeding edge (both for tablet and phone) but up-to-date security patches is a must.